For this Best Book Ever, I asked everyone to share with me their favorite books from when they were children or teenagers. Since most of us are adults who still love YA, I was curious to know what we were actually reading when we were around that age. Check out our selections and let us know what you think in the comments. 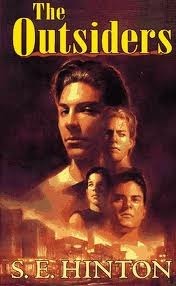 My favorite book when I was a tween was The Outsiders by S.E. Hinton. In fifth grade, I read it thirteen times. Yes, you read that right. Thirteen. I would check out a bunch of books from the library, including The Outsiders, and I'd read one non-Outsiders book, followed by The Outsiders, then one non-Outsiders book, followed by The Outsiders and so on until my name filled up the check-out card and the librarian gave me funny looks. 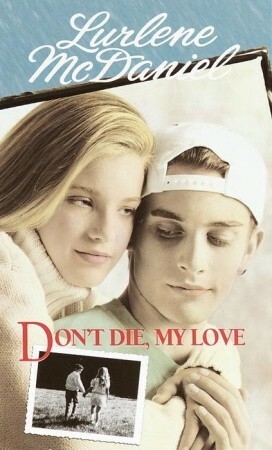 I didn't just love that book; I was obsessed. Why? Looking back, I think it was because the characters lived a life so different from mine, and the book allowed me to step into a completely different — but still "real" — world. Another reason was because the book allowed me to contemplate some pretty big topics. Up until that point, I'd read a lot of books with animals and kids in school situations and whatnot. But The Outsiders was one of the first books that was a true-to-life tragedy. A kid dies in that book. That shocked me and broke my heart. I think reading The Outsiders allowed me to contemplate life and death and those big, scary subjects from a safe distance. And last but not least, the characters in the book were (are) so cool, and I was a typical fifth grade girl who crushed hard on fictional cool boys from the wrong side of the tracks. Ah, The Outsiders. Sigh. I loved that book when I was a kid. And I still love it today. As a tween, I was sort of an oddity. 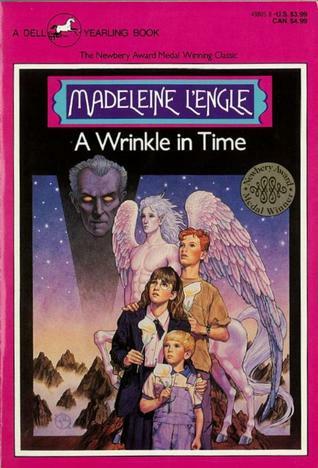 I loved A Wrinkle In Time and the other books in the four book set by Madeline L'Engle. In fact, those still count amongst my favorites. I also got into Lord of the Rings around that time, which I ravenously devoured. But like any other tween, I read a lot of Sweet Valley High and thought about how I was like Elizabeth but wanted to be like Jessica! My other favorite series was Trixie Belden. Practically no one of this age knows Trixie, but she is an earlier version of Nancy Drew, and completely sassy and awesome. If you know a tween who likes mysteries, hook them up with some Trixie Belden! I'm skipping the obvious choice for me (The Baby-Sitters Club series) because I'm sure someone else will pick it! Instead, I chose A Wrinkle in Time by Madeline L'Engel. It was the first book I remember getting truly lost in, in a different time and a different place. It was also the first book I read that made me say, "Wow! I want to write like that some day!" Although I haven't reached L'Engel's level of talent yet, I can still see influences from her writing in my own work, some 15+ years since I first picked it up. So, I read a lot of weird stuff when I was a kid. Some of it was totally age inappropriate -- like reading The Bridges of Madison County or Danielle Steele novels when I was a tween at most -- but the rest of it was age appropriate but still ... well, weird. While everyone else was reading Babysitter's Club and Sweet Valley High (which I read too, but never really connected with), I was busy reading Lurlene McDaniel's stories. My bookshelf at home was full of sad books about kids dying of cancer or other diseases. More than once I'd come out of my room after bawling like crazy over a book and my mom would be like WHAT IS WRONG WITH YOU WHY ARE YOU SAD and I'd be all A FICTIONAL PERSON DIED. So clearly I've been having lots of feelings over fictional people for pretty much my whole life. Ericka - I LOVED Trixie Belden. 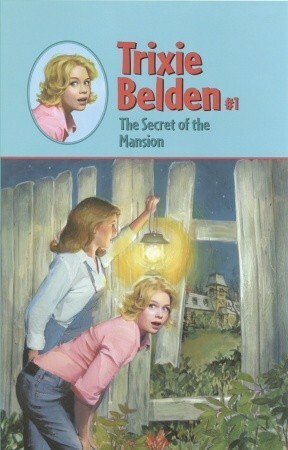 Her books were so much better than Nancy Drew!